Once home to our founding family, now home to the world. Over the course of our evolution from a humble residence of Sri Lankan hospitality, to a modern icon among Colombo luxury hotels, our doors have always been open at Jetwing Colombo Seven. 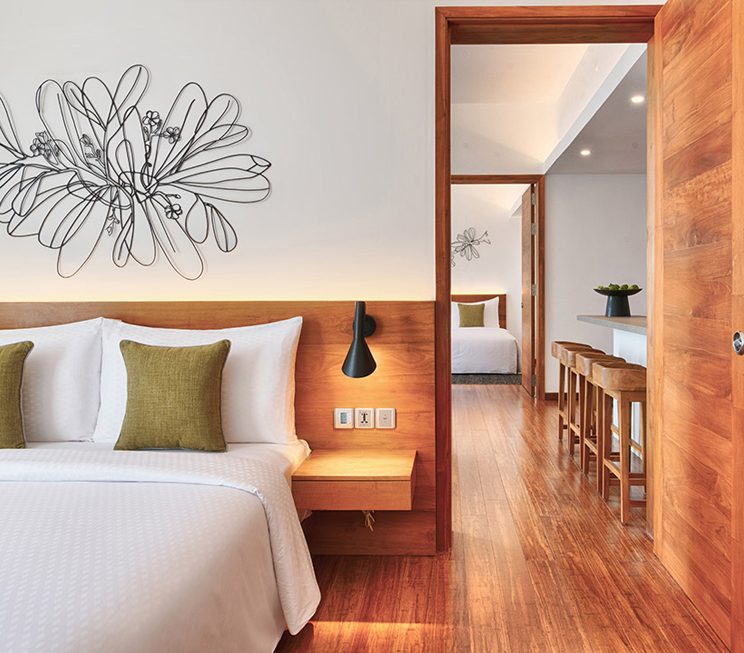 With 98 rooms in total, our city home of Sri Lankan hospitality features spaces for every kind of traveller, whatever their purpose of visit may be – for business or leisure, or anything in between. 70 Deluxe Rooms rise above the city of Colombo with a modern minimalist ambience that is invitingly comfortable in keeping to our legendary hospitality. Should the need arise, three of these rooms have also been specially designed for the differently abled to indulge in plush urban luxury. 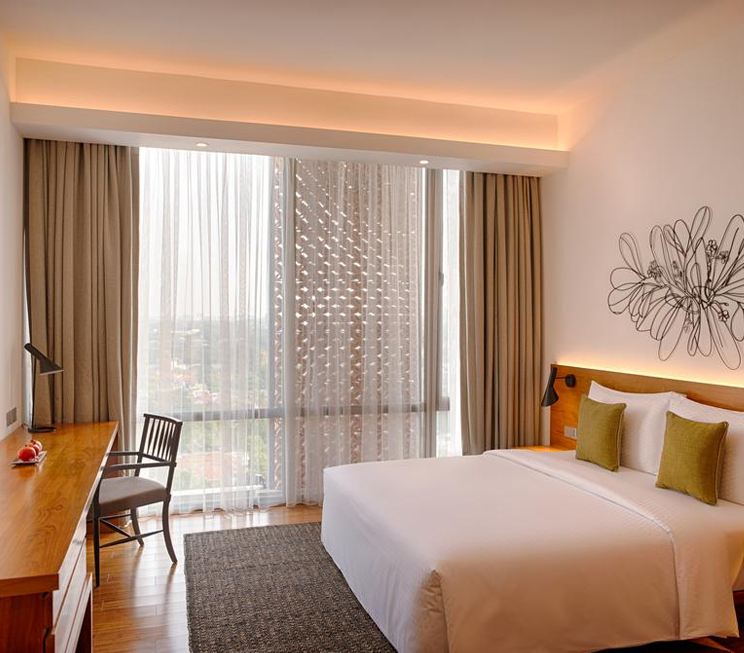 An additional 21 Studio Rooms offer the benefit of space with a number of modern essentials that come as standard amenities at Jetwing Colombo Seven. Such pleasures include free Wi-Fi, a mini bar, 42” television with local and international channels, along with tea and coffee making facilities among other contemporary luxuries. 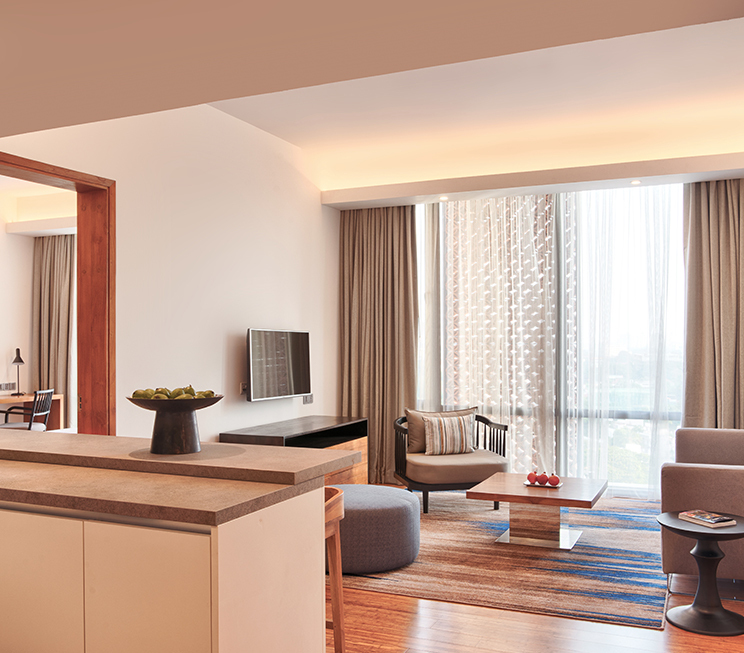 If you wish to extend your stay with us, Jetwing Colombo Seven also features two three-bedroom serviced apartments, and five two-bedroom serviced apartments as modern high-rise residences. In addition to treating you with ample living space, the service apartments also include a fully equipped kitchen, fridge, washing machine, microwave and electric hob to complement your progressive lifestyle at our city home of Sri Lankan hospitality.